The Restitcherator: Economy Blocks - WIP? or UFO? Last year, Economy Blocks were everywhere. They were filling my Instagram feed, they were in blog posts and Twitter. 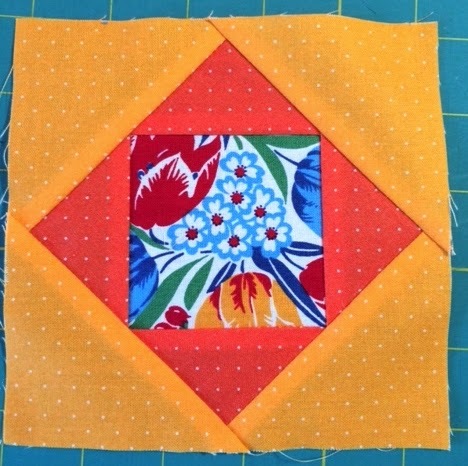 Like everyone else, I went to Rita Hodge's Red Pepper Quilts blog and used her great tutorial from August of 2013 to start making blocks. 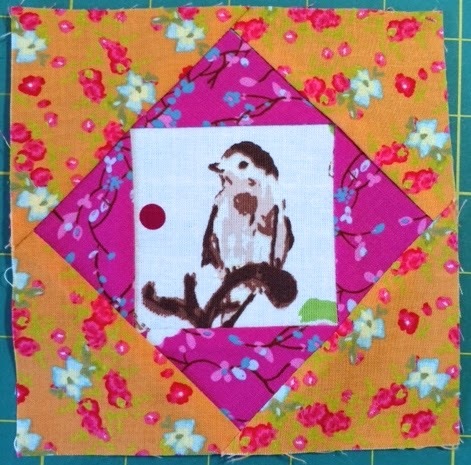 I didn't have a ton of experience with fussy cutting so this was a learning experience for me. I loved that I could save (and use!) 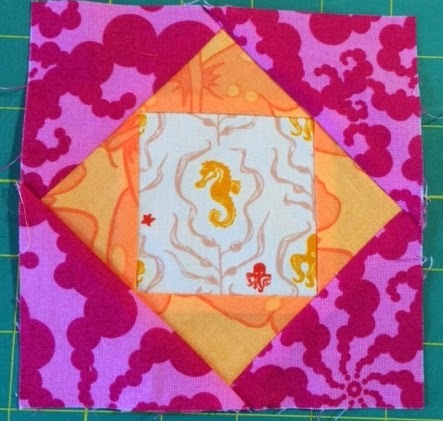 the tiniest scraps of my favorite fabrics to make these quick and easy blocks. These are four of the ones I have done. One thing I realized after I got a bunch made was that I was all over the place with the colors. 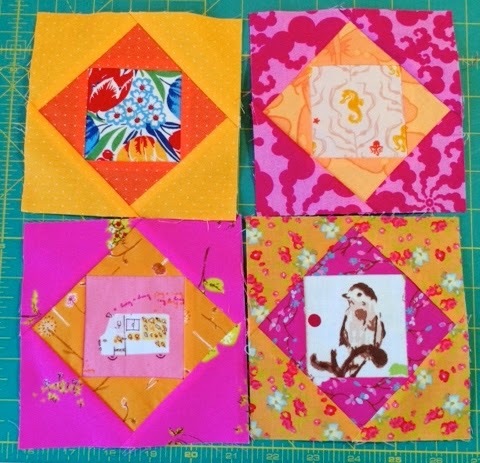 I have no idea if these will make it into a quilt or not. They might be too wild all together. Made from Heather Ross TINY scraps. Ice cream TRUCK!! I do have a thing for orange. Light, dark, polka dots. I love all things orange. More tiny scraps of Mendocino and some of my favorite old Yummy Goods swirly thingys. This is one of my Bari J. blocks. It's a mixture of three of her lines I think. Look at that bird!! I actually got him right into the center. So all together, these four look great. But wait until you see them next to my experiments with orange and blue. Yikes! 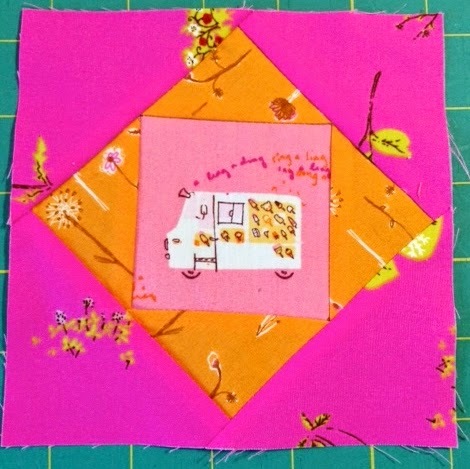 Have you made an Economy Block quilt? Was it lots of mixed colors or a specific palatte?